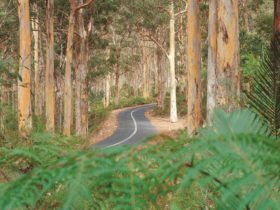 For scenic driving through the tall timber forests of the south west head to Boranup Karri Forest just south of Margaret River. 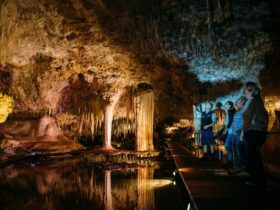 The area, which is part of the Leeuwin-Naturaliste National Park, is also well known for its wildflowers that colour the forest floor during spring. 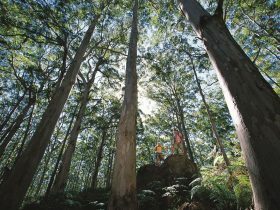 Boranup Karri Forest is unique for its proximity to the coast. This is the furthest west that the tall pale-barked karri trees grow. Karris can reach 60 metres or more in height and cover the hilly slopes and valleys of the forest. There’s a stunning scenic drive through the forest which is suitable for convention vehicles. You’ll feel dwarfed by the massive trees that line the road. 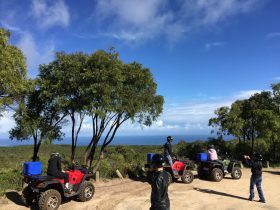 A short walk takes you to Boranup Lookout, which gives sweeping views of the forest and the coast. There are several spots to stop for a barbecue or picnic and there’s a camp ground at the southern end of Boranup Drive. 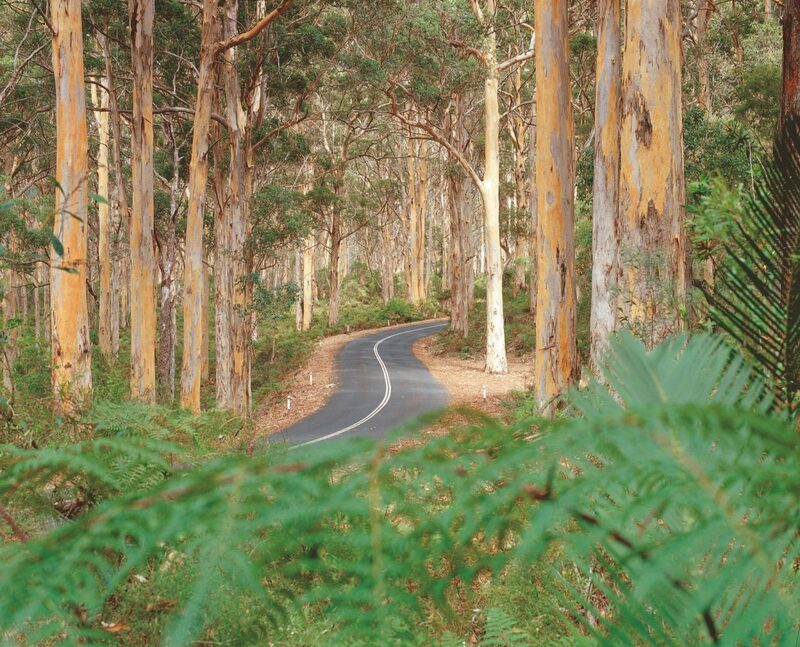 You can access Boranup Forest from Caves Road, a short drive south of Margaret River. 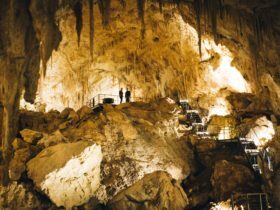 It takes around three and a half hours to drive to Margaret River from Perth.